Synchronized Swimming is a hybrid form of swimming, dance and gymnastics, consisting of individuals, duets, teams or combination teams performing a routine of elaborate moves, accompanied by music and gorgeous hand crafted bathing suits. These routines include diving, lifts, hybrids, and a variety of movements that require great skill. 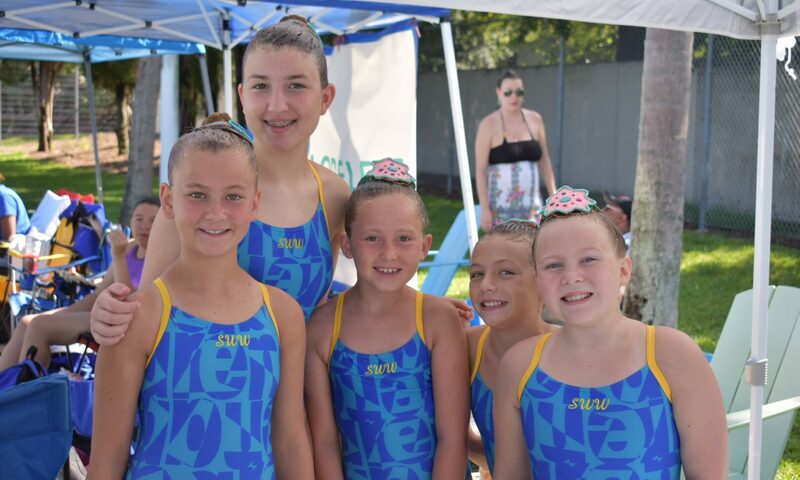 Synchro demands advanced water skills and great strength, endurance, flexibility, grace, artistry and precise timing, as well as exceptional breath control when upside down in the water. Synchro was developed in the early 1900’s in Canada, first demonstrated in 1952, and has been an official sport at the Summer Olympic Games since 1984. In its early form, it was sometimes known as water ballet.